MPAs all over the world are displayed and overlayed with fishing activity data in our map, and Global Fishing Watch, along with governments, other non-profits, scientists, and others, have been using this information to help create new MPAs and maintain existing ones. Global Fishing Watch’s data is proving instrumental in various efforts by NGO and scientists to establish and study MPAs. Our research partners at the National Geographic Society’s Pristine Seas project are working exclusively on MPA designation. 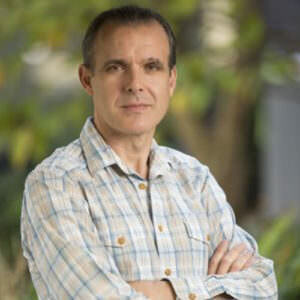 Under the leadership of Dr. Enric Sala, they have used Global Fishing Watch maps and data to help secure designation of Revillagigedo National Park (Mexico), Clipperton Atoll Marine Protected Area (France), Niue Marine Protected Area (Niue), Juan Fernández Marine Park (Chile) and Cape Horn – Diego Ramirez Marine Park (Chile). Particularly for the Revillagigedo National Park, our map was critical in demonstrating the extent of fishing activity in the region before it could be designated as protected. “Global Fishing Watch allowed us to see where different fleets were fishing. So when the Mexican tuna fishing industry said, ‘We do most of our fishing here,’ we had the data to prove they didn’t. Using Global Fishing Watch was a game changer for us because, for the first time, we were able to bring transparent data to the negotiating table.” said Dr. Enric Sala. Global Fishing Watch data was also instrumental in the creation of the Northeast Canyons and Seamounts Marine National Monument, designated on September 15, 2016. When fishermen argued against the parks designation, claiming that is was valuable for fishing, the Global Fishing Watch fishing activity map was able to help advocates visualize for policymakers that this was not so. Researchers at the Royal Society for the Protection of Birds (RSPB) and BirdLife International use the report feature in our map to determine where protected bird areas should be. The report feature allows you to select a geographic area in the map (in this case, it was various countries’ Exclusive Economic Zones or EEZs) and download a report of fishing activity in that region over a specified time period. No Blue, No Green, an environmental NGO, is using our data to help Argentina’s government keep their commitment to protect at least 10 percent of their territorial waters by 2020. Researchers in Ascension Island are applying our data to establish what will be the largest MPA in the Atlantic. Scientists and the Ascension Island government are using our map and data to monitor the distribution of fishing effort around the periphery of the planned reserve, and to assess threats to highly migratory species in this area. Scientists at the University of Exeter in the UK are analyzing our data to better understand fishing activity around seamounts and determine where deep sea fishing should be prohibited to protect these sensitive marine areas. Their results will reveal the regions where seamounts are most impacted and, thanks to our flag state data now available, demonstrate who is fishing in proximity to seamounts. These findings, when published, can be used as a catalyst for improved protection at the most exploited sights. The government of Mauritania is using our data to decide where to establish an MPA, as is the Consejo Superior de Investigaciones Científicas (CSIC) in Spain. Marine protected areas (MPAs) are regions of the sea in which human activities are regulated in order to help conserve, manage, and protect vulnerable ecosystems and wildlife. The way in which human activity is restricted in each MPA varies greatly – in ‘no-take’ MPAs, no extraction of resources, such as fishing or mining, is permitted, while in ‘restricted use’ MPAs certain human activities may be permitted while others are not, or activity can be restricted depending on season, fishing gear type, or other factors. From its onset, Global Fishing Watch has provided tools to help governments and enforcement agencies more efficiently monitor MPAs. Monitoring vast and remote MPAs can be expensive and nearly impossible given limited resources and response time to potential illicit activities. With our fishing activity map, anyone can monitor fishing in or around MPAs in near real time from their computer. When the Phoenix Islands Protected Area (PIPA), a MPA in Kiribati, was established in January 2015, Global Fishing Watch data helped to demonstrate its effectiveness. Via the fishing activity map, we were able to show that fishing activity in the park ceased after designation. Importantly, we helped detect when the new MPA boundary was not respected. Fishing activity clears out of the Phoenix Islands Protected Area after the no-take rule went into enforcement. 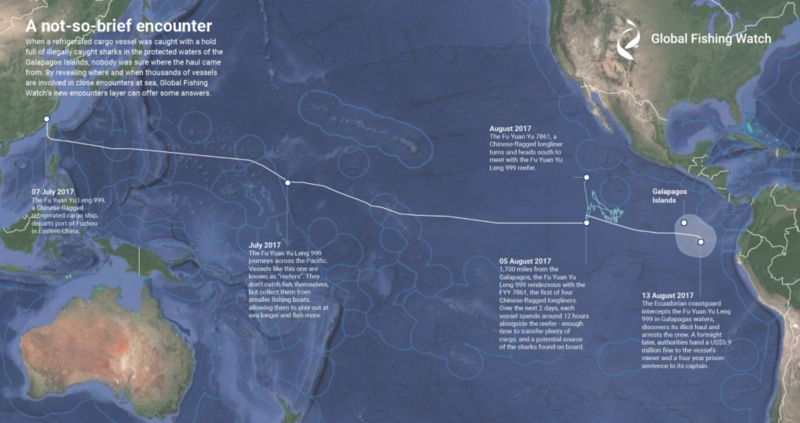 Kiribati used Global Fishing Watch data to show that Marshalls 203, a Marshall Islands flagged purse seiner, was fishing illegally in the protected area, an important site for tuna where commercial fishing is banned. The use of Global Fishing Watch helped result in a $1 million fine that was paid by the Central Pacific Fishing Company, the owners of Marshalls 203. The company also made a special “goodwill arrangement” with the government, agreeing to pay an additional $1 million in the form of a grant to the Pacific island nation. Our data is being been used to identify other illicit activities in and around MPAs. Our data showed that transshipment was involved in a case that led to a $5.9 million fine and jail time for vessel operators of a reefer vessel caught carrying illegal sharks and shark fins through the Galapagos Marine Protected Area. Our analysts aren’t the only ones using the data to look for suspicious activity; concerned citizens are using our fishing activity map to monitor MPAs. Amigos de la Isla de Coco, an environmental activist group, used our data in a report presented to the Costa Rican government on fishing activity around the Cocos Island protected area. This report has been integrated into a new monitoring, control and surveillance plan for the MPA and surrounding EEZ. In Mexico, Comisión Nacional de Áreas Naturales Protegidas, a government agency responsible for management of MPAs, uses our data to monitor fishing activity around MPAs.